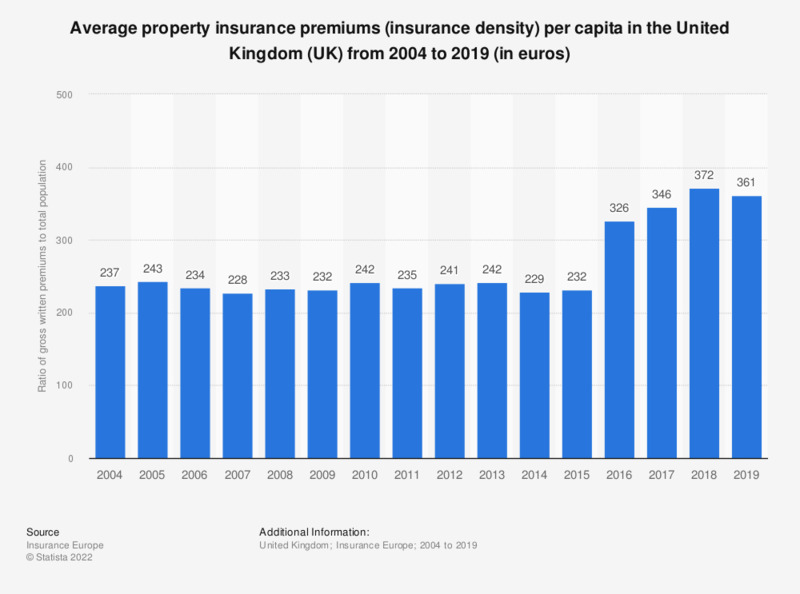 This statistic illustrates the average property insurance premiums per capita in the United Kingdom (UK) from 2004 to 2017, in euros. The average value of property insurance premiums has oscillated from 2004 to 2015 and continuously rose in the following years, reaching a total of 343 euros per capita in 2017, 109 euros more than the value of 2004. * Density: Insurance density is calculated as the ratio of gross written premiums to total population.